I just wanted him to make the bed. That’s all. I didn’t want him to do laundry or wash dishes or buy groceries –just make the bed. But for a few decades of marriage he did not. Every morning I quietly fumed and silently ranted. You’re the last one out of the bed. Why can’t you make it? How hard is it, really? Saying ugly things in my mind that I would never say to his face. And there, making the bed every morning, God transformed the rant into a quiet complaint and then miraculously into an adoration of my husband. It was not the man who needed to change. It was me. Take the gospel to the annoyance. Remember, you annoyed God –were his enemy even –and he chose to love you while you were unchanged. (See Romans 5:8.) 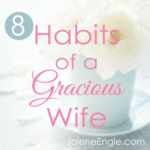 We should mirror the same grace to our husbands. 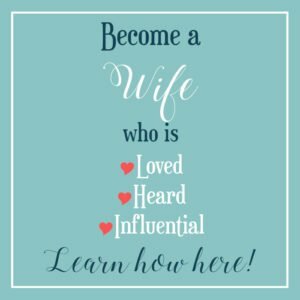 If your husband is well-intentioned toward you, let that truth override the petty areas where you find him lacking. To pray or to hound him? Choose prayer. We cannot succeed in nagging a man into being perfect. Be quiet toward your husband and speak much to God, starting first with prayers regarding your own attitude. 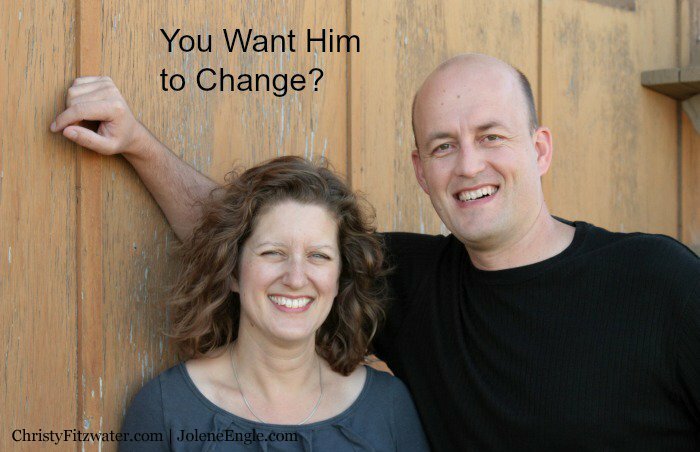 When your attitude toward your husband is perfectly in line with the humble attitude of Christ, then you may start praying about your husband changing. Start verbally thanking your man for the things he does well. Thank God you have a husband. Obey Paul’s words to “Do everything without grumbling.” (Philippians 2:14 NIV) Do marriage without grumbling. Now the surprise ending to my story. 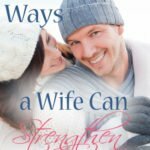 This last year my husband attended a Bible study called Men’s Fraternity (highly recommended by every wife I know!) At the end of the study, all of the men made a rather secret-clubbish “man plan”, which none of them would talk about with us wives. Evidently, my husband made a commitment to make the bed, because I haven’t made the bed since the day that man plan was due. If I try to make it, he hollers at me and says, Hey, that’s my job now. 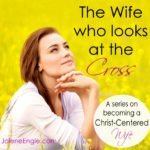 Isn’t this how God works in a woman’s life –bringing us to a place of humility, servitude, obedience, and love before he will even consider giving us what it is we really desire. Are you willing to work through the list? At least you spelled it with a C! 🙂 Aren’t we so petty? Except it doesn’t feel petty in the moment you’re feeling it. I should have mentioned in my post that my husband knows of my OCD, so he makes the bed just the way he knows I would like. That’s a big deal! Absolutely excellent, Christy!! 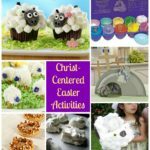 An perfect list to start modeling Christ-like behavior, and practical tips on how to do that when we don’t feel like doing it. Actions usually come before feelings. Change your action and see what happens! I love this! You are so right about the actions coming before the feelings. I wish someone had taught me that before I got married. Christy, I LOVE this!!! Too often we try to change him when it is our own heart that needs the transformation. I am SO OVERJOYED that I came across this and am now all caught up! I began last night and don’t you know I was up at 5am looking for day four! And, you didn’t dissapoint, it’s exactly what I needed to hear today. My husband is an amazing man, but I don’t give him enough credit. And my daily stresses of working from home and caring for our children can make me forget what is important and become angry and resentful. Your words are so inspiring!! There is nothing more stressful than working at home and being mom and housewife. It’s easy to let resentment simmer about not getting the help we want. I’m glad you were encouraged!! I bet that man of yours has a list of wonderful qualities a mile long. And I pray God will strengthen you to persevere. Ooooh. That’s a painful question. I’ve always felt ashamed at my petty gripes, because my husband rarely complains about such things to me. So true! Change needs to begin within me! My husband is pretty awesome, too, but there are little things that bug me (socks left on the floor)…However, it is my attitude about those little things that needs to change – I mean, really, will it hurt me to pick up the socks for him? That pesky little “serve me” attitude needs to go! Thanks for this encouragement! I know how you feel. Sometimes I think -well, if he asked me to pick up his socks I would most gladly do it. So why not do it without being asked? Serving him changes everything. Oh, Christy, this is such an awesome action plan. I love it!! And “Do marriage without grumbling.” Wow. A terrific challenge. Hi, I’m enjoying reading this series. Thank you for it. My husband was wondering if there are any similar ‘courses’ or series for the men. I thought I would ask here and see if anyone knows of something I could recommend to him. 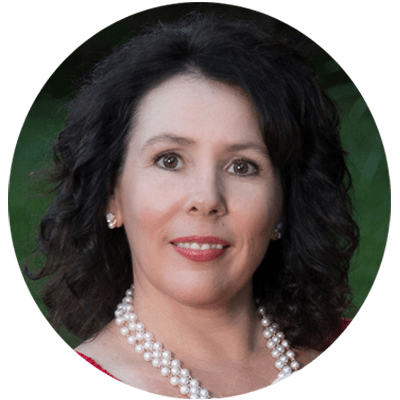 Christy…What wisdom in your list! 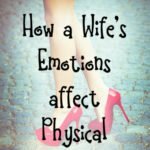 How true that we can create ugly feelings towards our husbands if we’re not careful. I have to say, I’ve done the list thing (#5) and found that to be a blessing to my heart. Yes, I am thankful to have my husband. Great post today! Ah yes, #5 would be enough all on its own. 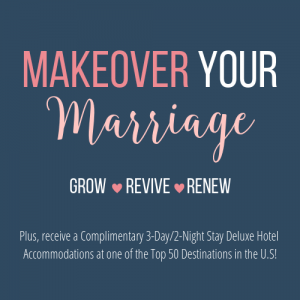 Thankfulness is surely the most powerful marriage builder! Yes, Nikki. Your husband called and asked me if I could help. Kidding! I’m glad if you could benefit from my years of struggle and hard-learned lessons. I love this post, Christy! What a great reminder and encouragement to all of us. I love all of your points, but #4 struck me particularly. 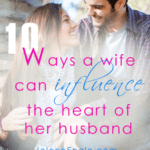 Because for most women (but not all, I know), our husbands intentions toward us ARE good. It’s just that they don’t think the way we think or prioritize things the way we do. So let’s focus on what’s good and let the small, petty things go. Yes! I think our men really do want to take care of us and make us happy, but that’s quite a task for them to figure out. Thank you, LaNeshe. That encourages me so much! 8 , 9 , and 10 I definitely have to work on. Thank you for reminding me how lucky and loved I actually am. I know so many single or widowed women who would give anything to have the love and companionship of a man, even if he didn’t make the bed. We should thank God every day for the blessing of having a husband! Christy you are so right! I had this alot in my marriage. I am so glad God is patient with us. He had to do alot of work in me to get to me where I am today, serving my husband with joy! Thanks for your encouraging words! I think every single woman struggles with some little bitterness against her man. Definitely worth the work to get rid of it! Great post! I’m enjoying the comments here too but from a slightly different perspective. I’m separated right now so am a single Mom of two teenage boys. Long ago I was taught by a wise woman that Mom’s need to show their sons respect (God wired that male need for respect in early) and I see it…when things really go south they’re not feeling respected. Back to the post…given our current situation of being down a pair of hands and feet I’m on them about making extra work for me ie: leaving the empty milk bag on the counter beside the garbage, or leaving their dishes on the coffee table where the dog can get at them (and their bedroom is another story). So my query is how much of this post would apply to my attitude toward them? I feel the need to teach them responsibility and consideration but maybe some or all of the tips above would yield better results with them too..change my perspective. Thoughts? Such a great point! I happen to have a teenage son, too. I often think about what kind of husband I hope he’ll be some day (which is why I just hollered “dishwasher” when he went to put his dirty plate on the counter.) But I think at the center of my list are two things -grace and appreciation. If we wrap our instruction in those two things every time, it will be much more easily received! I love your point -I’m going to scroll back up and read my list with my teenage son in mind. I think it totally applies to how I treat him! Thanks for the thought. Just earlier tonight hubby and I were discussing the number of shoes left by our front door. Our oldest son is on his honeymoon and he left FOUR pairs of shoes by the front door, lol! They weren’t even in the basket but were on the floor next to the nearly empty basket. Empty because no one was putting their shoes in there. Hubby had two pairs, our other son had two, etc. You get the idea. This issue may never resolve as I think I did a blog post about it a couple of years ago, lol! But that’s o.k., I will serve my family as you reminded me! Sigh. I just looked at my son’s three pair of size 11s that were littering my kitchen floor. Now you’re the one preaching to me -be thankful for the feet that go in those shoes. I’m almost an empty nester, so don’t be makin’ me cry thinking of my lanky boy marrying some woman. Yes, they were babies just yesterday. Christy, great points! For me, it was the newspaper!!! My husband just throws it on the sofa or the floor. Well, he still does that. I used to resent that..but God worked in me and gave me a new perceptive as you shared as point 9. He said, “You are lucky to have him for just one more day..what would you do if he is not there the next day? Who’s paper will you pick up then? ” That totally changed me! Thanks for reminding me to keep the main thing – the main thing! Love all this advice! I don’t think we ever stop needing reminders of how to be a good wife. Glad you’re enjoying the series! how awesome was a win win for u!! God changed ur thinkin and hubs makes the bed !!!! ty for sharin ur story well said now its time for me to put in to practice!! Practice -now that’s the hard part. I still have to work on being a wife full of grace every day. I guess for some of us it isn’t as easy! For some of us there has been trial after trial. Where I can feel the thorns dig in is when you say God loves me when I am unlovable and I know I need to bring it to Him more often. 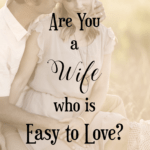 There have been lots of hurts and loneliness in my marriage–God has brought us a long way but for me this hurts because all I want is to be loved and to know I am loved by my husband. 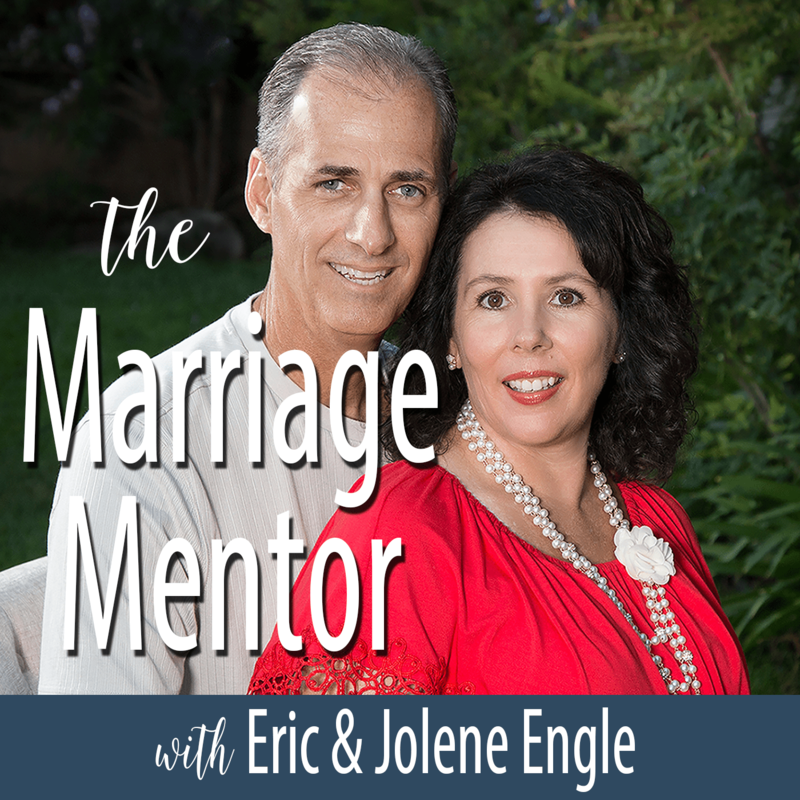 Not long ago I ordered a marriage relationship book called Hold Me Tight based on a new couple therapy called Emotionally Focused Therapy (Sue Johnson). One thing that struck me in the forward was that the author states that it’s designed to be used by all couples:young, old, married, engaged, happy, distressed etc women/men, all cultures…BUT not for people who are in abusive relationships, with serious addictions or in long term affairs…because these preclude positively engaging with partners. 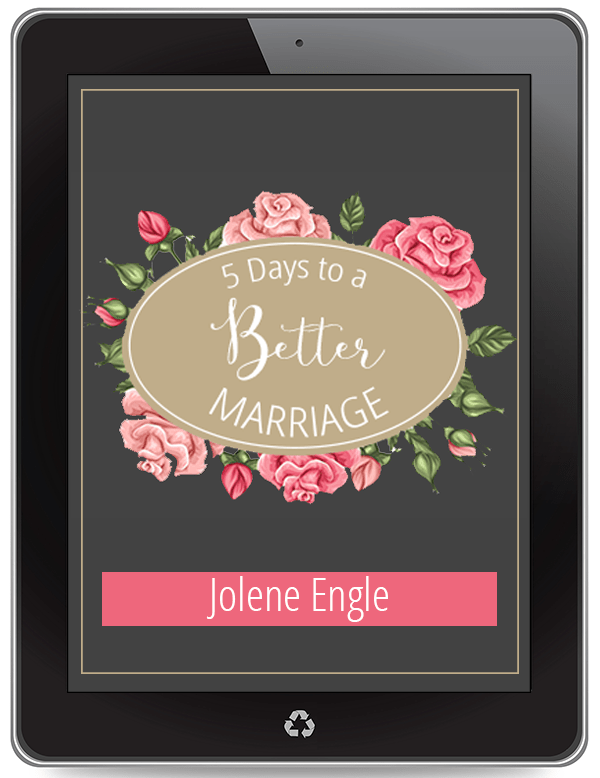 The book & this marriage series offer fantastic lessons taught by God and shared by great, courageous women. 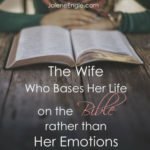 While some of us subscribed to this series may have marriages that don’t resemble the “norm” (what ever that is) many do (praise God) and I am still planning on learning from each one a) because I don’t think God is finished with my husband and I as a married couple yet so I need to continue to change me and b) because I have teenage sons and I think some will apply. So sending big hugs to those reading who feel lonely, abandoned, betrayed or abused. We are all princesses of the Most High God who are favoured, covered and constantly washed clean (whether our husbands acknowledge that or not)! Jennifer, I can hear the pain in your voice. I have walked closely with many women who have not been loved by their husbands. This is a totally different animal of a problem than just being annoyed at the small things in a marriage. You should be loved. You should know you are loved. All I can say is I am so sorry you don’t feel this way. But the core of what helped me is the answer for you -praying and taking the struggle to Christ who cares. The same power and love and grace of Christ that helped change me is available to help you. I’m praying right now that God will show you how amazing he is, right in the middle of marriage pain. You are always loved and never, ever alone if you Christ is your Lord. All good ones, especially #3 because it is the fuel for the others. I might add things like pray for humility to see your own desires as less than Biblical and his preferences as more honorable than yours. If the only people who will see your bed are you and him, maybe you could choose to let go of that demand forever because it could be all about you and not The Lord. You really have me chewing on this one, Mike. Here’s a perspective -my momma hammered into me that if nothing else gets cleaned, at least make the bed every day. She said if the bed isn’t made the whole room looks messy. That brings up a whole different point -that we come into marriage with values we’ve learned in our home growing up. If that value isn’t shared by the husband, there is instant conflict! You’re so, so, right, though. My mom lives 12 hours away and would never know my bed isn’t made. Definitely worth letting go! This is a great article. So many articles and ladies’ meetings are written or spoken with the assumption you have a wonderful Christian man whose worst habit is leaving socks on the floor. Oh what I would give for that to be my problem! lol What about women with Christian alcoholic husbands? Husbands who are lazy and not supporting their families? There are many women out here who have situations that DO need to change. She probably needs some adjusting of the attitude too, to submit to him even when it causes homelessness or whatever and just be happy to serve him. But his actions do need to change and she needs encouragement. Not all churches are willing to give that kind of encouragement. So, what does she do? Just keep on keeping on? I can list a dozen such women right this minute -women who’ve been abandoned or cut down. I know women who have been sexually, emotionally, and physically abused by their husbands. That’s why I made the statement “if your husband is well intentioned toward you”. 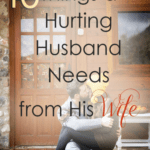 Not all husbands are well intentioned. You’re so right -this article deserves a sister article. I will answer briefly here, though. Regardless of the severity or petty smallness of our husband’s lacking, we can NEVER change him. There is only one who can change a man, and that is the Lord Jesus Christ. So what can a woman do if her husband is hitting her or if he is just leaving his socks on the floor???? She can only take action for her own soul. The list stays the same, but the cost of following it becomes sacrifice. For example, Paul instructs believers to give thanks in all circumstances. That means a woman is expected to thank God right in the middle of a nasty marriage. A woman in a bad marriage can still can offer grace and not expect her man to be perfect. She can still find 10 thinks to thank God for in this man (that’s work, I’ll tell ya!) She can still serve him in all grace and beauty, as if she is doing it for the Lord and not for the jerk of a husband. She can still choose not to grumble. She can verbally thank him for anything good he does. She can consider his perspective. What painful life or emptiness of soul has brought him to this place of ugliness? 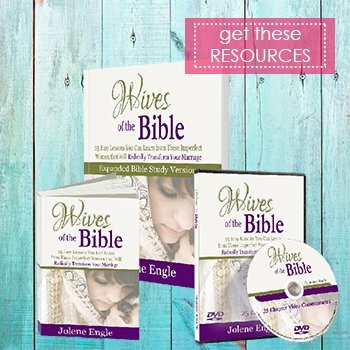 Lastly and of most value, the woman in a painful marriage can still bring the gospel into her marriage. Romans 5:8 says, “But God demonstrates his own love toward us in this: While we were still sinners Christ died for us.” While your husband is still a jerk, God loves him deeply. If your husband is an enemy, pray for him. That’s what Jesus says to do. Keep giving him love he doesn’t deserve. I can’t think of anything more difficult to do than this. But wow -the gospel has power to totally take something that is dead and bring it to new life. I think that includes marriages. And let the gospel be the lifeblood and comfort for a woman in a hard marriage. She is always loved by Jesus. Always forgiven. Always cared for by a tender Savior. That good news has the power to sustain us through the bloodiest relationship battles. Grace and peace to the women in hard marriages!! I think I should add that if a woman is actually in a REALLY bad situation, where she is being abused and feels endangered, she should remove herself from that danger and seek professional help. Thank you all for sharing and for acknowledging the different circumstances. Jolene I’ll read your post too. 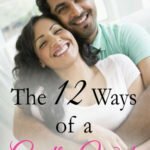 My husband has quite a few little quirks I’d LOVE to change about him. However, I also have thousand quirks within myself that he’d Triple LOVE to change about me. Yet, we know God put us together. So, we definitely spend more time focusing on the good things in each other. If we didn’t our marriage would fall apart!! This is such a great post! Glad it is part of the series.